Ah the Holidays, the air is crisp, the lights twinkle, and all is Merry and Bright… for the kids right?! As adults, so many of us have a hard time juggling our desire for the magic and delight of the holidays with the stress of shopping, meal prep, and trying to meet the needs and expectations of family members. At some point we grew up and whether we have kids or not, we have now become Santa. Think about it...we decide which traditions we keep or break, we supply the gifts and cheer, and we decide who has made our naughty and nice lists, including ourselves. And if that wasn’t enough to handle, this time of year many of us are grappling with the loss of family, unsafe relatives, or a sense of not belonging anywhere. That’s a lot! No wonder we can feel overwhelmed or stressed out! It’s ok to feel this way; I can relate, and you are not alone! Whatever feelings you have about the Holidays, I invite to you believe the possibility that you can pull off the role of Santa this year. You can be Merry and Bright! How? By remembering the “big picture” or what’s most important to us, we can more easily lean into our joy and let go of the details that stress us out. 1. What do I need out of the Holidays? This is the time to get real about what we need. I’m not talking about wish lists and to-do’s. I’m talking about the deep down needs that help us get through the holidays feeling good about ourselves and our role in our families. For those of us who are unable to have relationships with our family of origin, chosen family and close friends can be very important to get together with. 2. How do I make that happen and who can support me? The trick to making a successful Santa plan is to keep it simple and manageable. Invite support: Remember that it takes a village of elves to help Santa get the job done. Togetherness is the name of the game. The important things usually don’t cost too much, so don’t sweat the finances. Examples of how: practice gratitude / be present for my blessings, focus on all the people that show up to love me instead of the ones that don’t, write letters expressing my love as gifts to my dearest people, don’t feel pressured to buy things. 3. What is my plan to keep myself and my loved ones safe from unhealthy relatives? This is the time of year we may be exposed to family members that we otherwise choose to avoid. Unfortunately there are people that are not safe in the world, and that means that some of those people are our relatives. For some of us, it’s one or two black sheep of the family that need extra boundaries and for others we need to avoid our entire family of origin to keep ourselves safe. Safety always comes first, and when we are honest with ourselves and set appropriate boundaries, we can navigate the holidays with a lot less stress and way more peace and joy. Examples of boundaries/ safety plans: no one be alone with ___, having a friend on standby to call if I get stressed /need to talk, not inviting certain family who are unsafe, avoiding political discussions and name calling. Inviting God/The Universe to be all the family I need. This year, I invite you to embrace your inner Santa. Adulting during the Holidays doesn’t have to rob you of your child-like joy and leave you stressed out or depressed. If you experience grief during this time of year, you’re not alone. Remember that families come in all sizes, and we all belong to each other. You have the power to recreate the Holidays however you’d like to. Make and keep traditions that work for you and create a chosen family that is safe and loving. 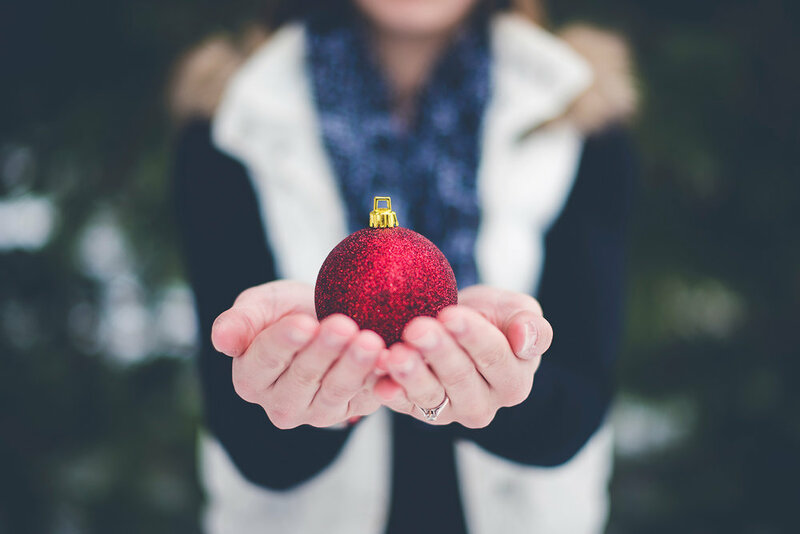 When we take the time to look at what’s really important to us, the true spirit of the season for us, the path to reclaiming a joyful Holiday becomes clear, and all is Merry and Bright.